Congratulations to my awesome friends, James and Anna, who got married yesterday! 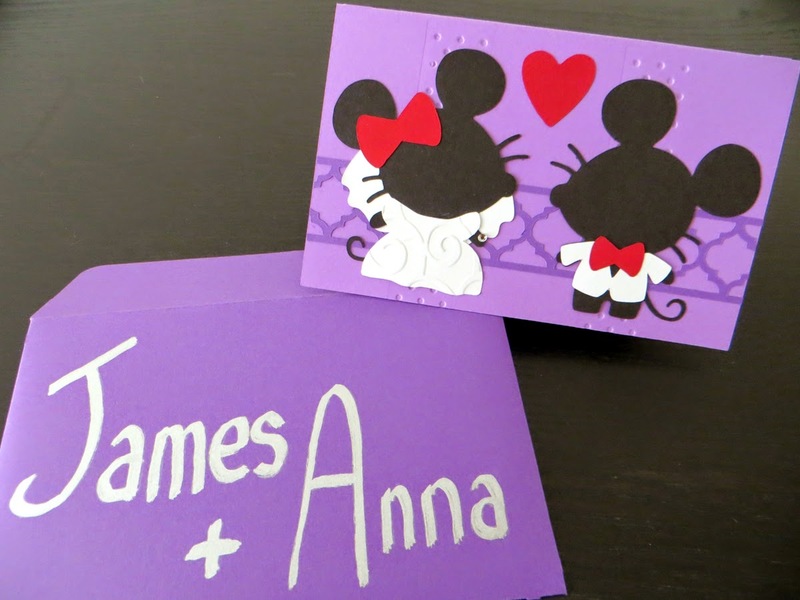 Since he originally proposed with a Mickey Mouse ring, I thought it would only be appropriate to make a card for them that was inspired by the famous Disney couple. 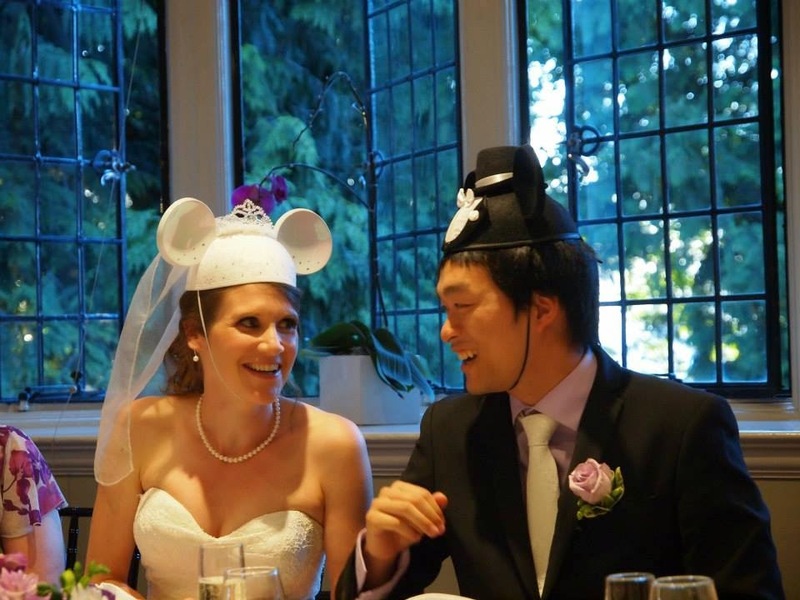 Turns out the wedding was heavily Mickey Mouse themed, from married couple hats, to silhouettes in the bouquet, to the gorgeous wedding cake topper - I loved all the details!